This event has been organised by Midlands Vegan Campaigns. We are a small group of volunteers, committed to promoting healthy, cruelty-free, eco-friendly plant based diets/lifestyles across the West Midlands region. 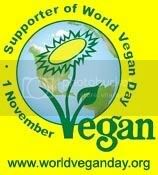 Adopting a plant based diet helps to reduce third world hunger & starvation! !